Taylor Swift- Reputation Tour - 94.3 KAT Country! 94.3 KAT Country is proud to welcome Taylor Swift to Arrowhead Stadium on September 8th. 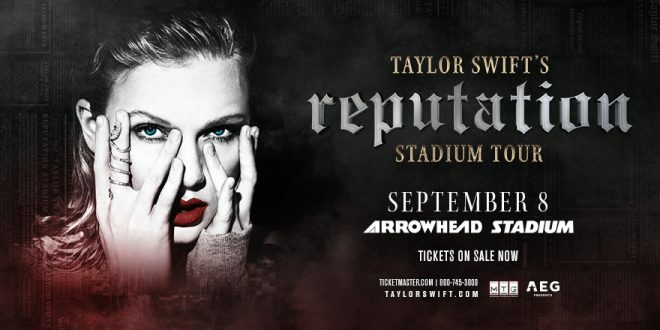 Multiple GRAMMY award-winning superstar Taylor Swift is coming to Arrowhead Stadium September 8, 2018.